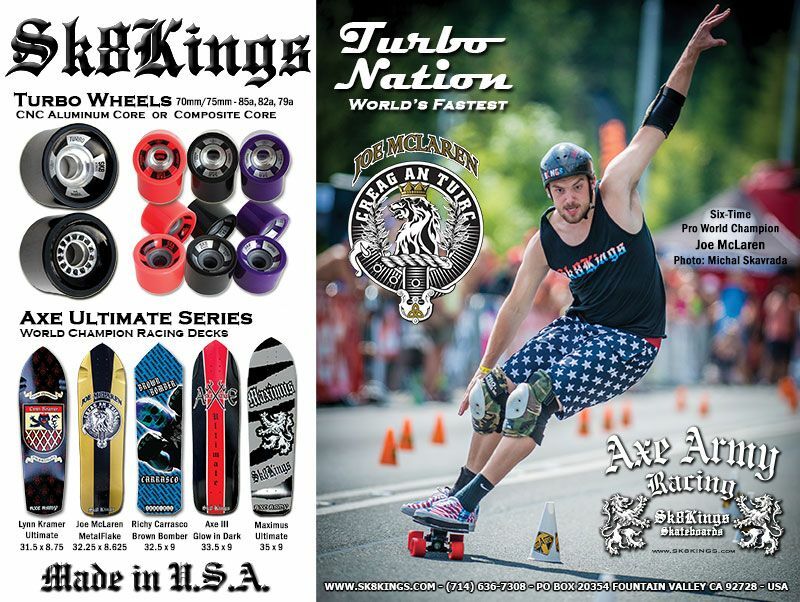 Sk8kings Turbo Wheels - new 2014! 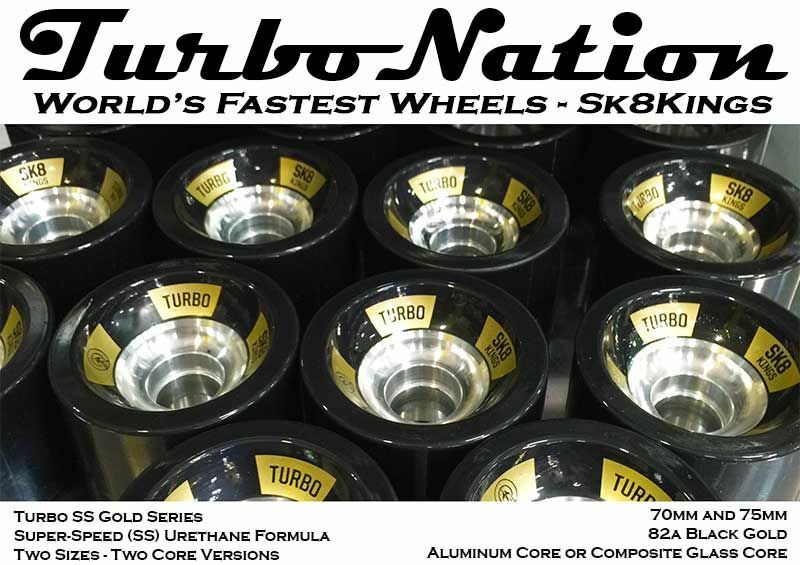 Sk8Kings is proud to announce the release of the new SS Gold Series - the latest installment in our Turbo Wheels line. 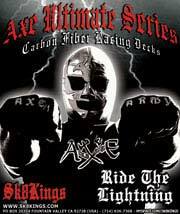 The new SuperSpeed (SS) formula brings a material composition never before used in a skateboard wheel. 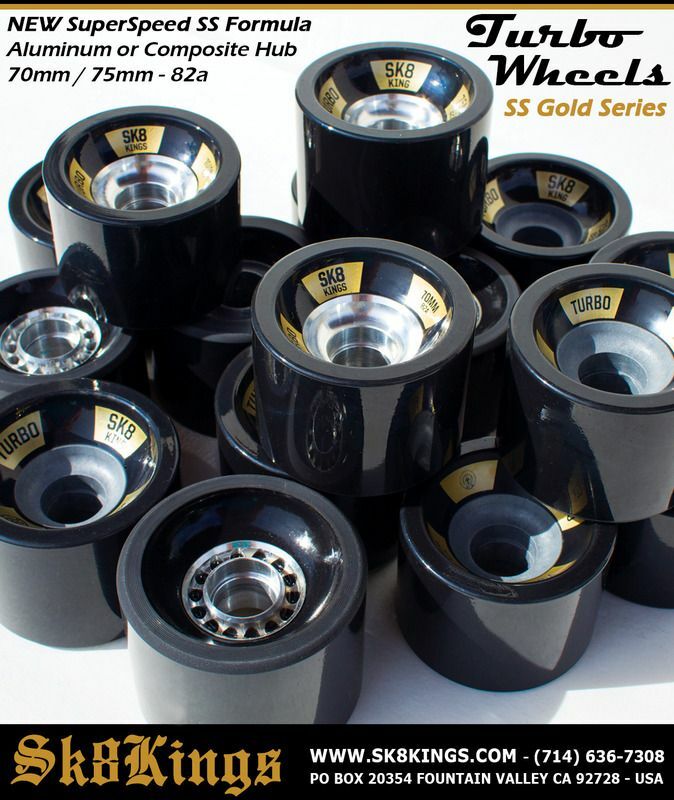 Available in two sizes - 70 & 75mm, two hub versions - CNC aluminum or composite glass, 82a durometer in Black Gold colorway. 100% made in the USA.